A question that we get asked quite frequently is how often should toothbrushes/brush heads be changed. The recommended time frame for most people is every 3-4 months. This seldom happens though! Some brushes actually have a blue wear indicator dye in the brush to show you when it has worn out. Most people don’t study their toothbrushes intently so they don’t realise they have passed their use by date ! Generally by the time a toothbrush starts to look frayed/ worn/fluffy/dirty it is well and truly time for a new one. The brushes become ineffective and could even hurt your gums as they become hard and scruffy instead of soft and uniform. We all know that the oral cavity is home to hundreds of different types of micro-organisms (bugs) therefore, it is not surprising that some of these microorganisms are transferred to a toothbrush during use, so a regular change is good for your overall health too. 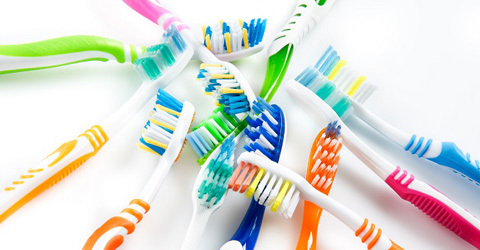 Toothbrushes will wear out more rapidly depending on factors unique to each patient. Check your brushes often for this type of wear and replace them more frequently if needed. Children’s toothbrushes often need replacing more frequently than adult brushes as children tend to bite and chew on their brushes. Do yourself a favour and change your brushes regularly. Your dentist may even notice the change in your gum health. Remember; a SOFT toothbrush with a SMALL head is what we recommend for best plaque removal. Removing wisdom teeth is almost always necessary once they start causing pain. Except in the most urgent cases, Dentists on Broadbeach provide a full written costing before any treatment or removal of wisdom teeth is commenced. Costs can range from a base of approximately $200 for one upper straightforward wisdom tooth extraction to a base of $385 for one lower straightforward lower wisdom tooth extraction. Wisdom teeth removal costs can vary dependent on the amount of teeth we remove at one time. It is sometimes more cost effective to do several wisdom teeth extractions at the same time, although this can result in a higher than normal amount of post-operative pain. Don’t hesitate – it will only get worse! Contact us to get answers to your questions and discuss problems you are having with your wisdom teeth. If you need your wisdom teeth extracted, NOW is the time, not later. 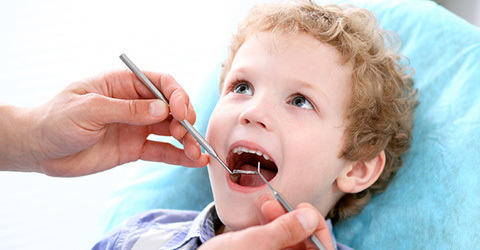 We could tell you about how well our gold coast dentists realign and re-set teeth, perform fillings or crowns or anything else to give you that ravishing smile. We’d rather show you – picture says a thousand words! No matter how bad your teeth are, we can improve your smile and give you back that “wow factor” that can only come from a clean, healthy looking smile. Click here to make an appointment today! This patient presented with chipped and decayed front teeth. We utilised Porcelain crowns on six of his upper teeth to restore them to a healthy and highly aesthetic smile. This patient was unhappy with her misaligned and uneven looking multi-coloured teeth. We were able to place 6 Ceramic Porcelain Crowns to acheive a uniform colour, shape & length. A very good result. Its our duty of care to ensure we take every step to stop any cross-infection in the surgery. We have very strict systems and procedures in place to ensure this does not occur. Plastic barriers are used to cover the areas the dentist or nurse commonly touches, such as the light handle or chair control pad. These barriers are removed after every single patient. The surgery and all of the items used, like the safety glasses and material dispensers are then wiped over with a surfactant before new barriers are placed. The items required to complete the procedure are already set up to reduce the need for the nurse to open the cupboards and draws and single use items are used where possible. If something is required from a cupboard or drawer however, the nurse will either remove their dirty gloves or use a clean pair of tweezers to retrieve any needed items. Once the procedure is finished, the dentist removes any sharps from his working area and disposes of them into the infectious waste sharps bin. The nurse then strips the surgery down, cleans it and takes the “dirty” instruments to the sterilisation area. Here the instruments are soaked and scrubbed before being placed into the ultrasonic cleaner, filled with disinfectant and water for 10 minutes. An ultrasonic uses high frequency sound waves to create Cavitation bubbles. These bubbles act on any contaminants which may still be left on the instruments. The instruments are then rinsed and dried thoroughly. Instruments classed as critical (instruments that penetrate soft tissue) like extraction forceps, are placed into a single use sterilisation pouch. These instruments carry a tracking number with the date and a steam indicator. This indicator is activated when the prescribed time and temperature parameters are met. This is then recorded both in the sterilising log book as well as into the patients’ treatment card. This allows us to ensure and record that these critical instruments have been properly sterilised. Each day before the autoclave is used, we run a Helix test. In order to sterilise by steam, the steam must be able to contact every surface of every object in the load. Hollow instruments or instruments in packaging, such as the sterilisation pouches, are difficult for steam to penetrate, this is why steam sterilisers are fitted with vacuum pumps. These pumps remove the air and allow the steam to penetrate the objects. The Helix test verifies the autoclaves’ vacuum is working efficiently. This patient was very unhappy with his old and tired looking crowns. He was also unhappy with the short appearance of his teeth. Consequently we arranged for him to have a ‘crown lengthening’ procedure where a small section of gum and bone is removed to allow for more tooth height to be achieved. After 2 weeks healing we then replaced all of his old crowns to a better shape and colour. Ensure your teeth are healthy first and then make cosmetic changes ! No matter how you decide to whiten your teeth, the most important thing is that you have a healthy mouth, free from tooth decay and gum disease. Your dentist should recommend a full check up and scale and clean before commencing any form of whitening. See our Teeth Whitening section for more information. This patient presented with ‘chalky’ looking mottled teeth from a developmental defect. She was very self conscious about their appearance. After careful assessment and planning we made 6 porcelain veneers for her. She was extremely grateful and happy with the result we were able to achieve. It has been a life changing experience for her.